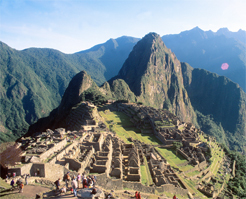 Travel to Latin America is synonymous with Steamond. 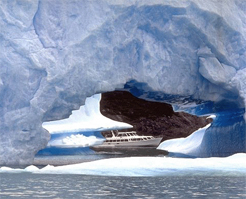 Over the past 35 years we have taken thousands of satisfied clients to the region, from Mexico in the north all the way down to Antarctica in the south and looked after them while they've been there. Regular favourites with our clients include some of the most spectacular locations in South America: Asuncion, Bahia, Belo Horizonte, Bogotá, Brasilia, Buenos Aires, Caracas, Fortaleza, Galapagos, Iguassu, La Paz, Lima, Machu Picchu, Manaus, Montevideo, Natal, Quito, Recife, Salvador, Santiago, Sao Paulo and the iconic city of Rio de Janeiro. 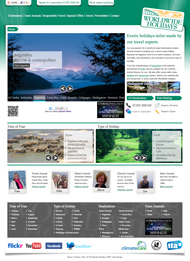 So, from this website you can find inspiration on where to go, what to see and where to stay. Just click our 'Destinations' tab and take your first step of your journey to the fascinating region that is 'Latin America'. Here you will find a country-by-country overview, a selection of recommended hotels, an A to Z travel guide for each destination and ... our inspirational suggestions for bespoke tour itineraries. When you're ready, you can discuss your specific ideas with one of our travel experts, who will help you build a bespoke itinerary around your interests, your needs and your budget. Simply call 020 7730 96 39 or use the online enquiry option via 'Contact Us'. Alternatively, you can make your own individual travel arrangements direct, using the Steamond booking facility (provided by Amadeus) offering the best competitive prices for Flights, Hotels and Car Hire to South America. With many airlines, you can even check-in online for your flight to South America from here once you have a confirmed flight booking. Simply click the above tab 'Airlines & Check-In'. Our exclusive Special Offers section (right panel) gives examples of the very latest Steamond journeys and special itineraries available to inspire you. Welcome to Steamond – Welcome to Latin America. Steamond flight bookings and our air holiday packages are ATOL protected by the Civil Aviation Authority. Our ATOL number is ATOL 74159. Steamond is also a member of ABTA, our membership numbers are Y2047 and C0378. Please see our booking conditions for more information. Steamond has been working closely with Worldwide Holidays since 2007, supplying flight tickets for many of their international travellers, with special focus on Brazil. 2013 sees Steamond take ownership of Worldwide Holidays with a view to further investment, development and expansion into new and exciting destinations that will most certainly benefit clients of both Worldwide Holidays and Steamond. CLICK HERE to see more amazing tailor-made journeys from Worldwide Holidays.